***There is usually a delay in shipping for these take up to a week to get together. Each swatch is about 4"x1.5" and a glued label with the name on the backside of each piece. There is a label on the back of each one and if removed, will leave a residue, if it comes off at all. NOT FOR EARRINGS! 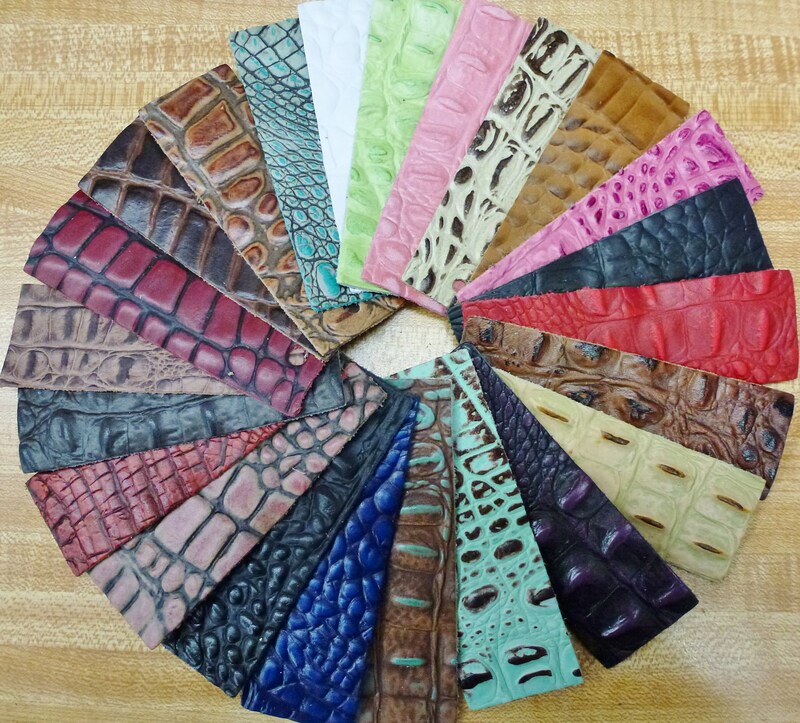 Leather swatches are the Best!! Thank you for offering them!